Professor DiFonzo earned his Ph.D. in Social & Organizational Psychology from Temple University in 1994 where he was awarded the Marianthi Georgoudi Dissertation Award for philosophical and theoretical contributions to the field of Psychology. He is currently Professor of Psychology at Rochester Institute of Technology where he teaches Social Psychology, Industrial/Organizational Psychology, and Graduate Statistics. He is a member of numerous professional associations including the American Psychological Society, the Society for Personality and Social Psychologists, and the Society for the Scientific Study of Religion. He has published over 35 articles, book chapters, encyclopedia entries and technical reports pertaining to the topic of rumor. His book, Rumor Psychology: Social & Organizational Approaches (written with Prashant Bordia), was published by the American Psychological Association and won the Gold Medal-2006 ForeWord Magazine Book of the Year Award in the psychology category. His general press book, The Watercooler Effect: A Psychologist Explores the Extraordinary Power of Rumors, was released by Avery (Penguin) Press in September of 2008, was released as a paperback in September of 2009, and a Spanish translation (Rumorologia) was published by the South American publisher, Ediciones B also in 2009 (a Korean version was also published in 2009 and a Japanese translation is forthcoming). He has been interviewed on National Public Radio on numerous occasions, and routinely assists the press in the analysis of rumor and gossip. He has given over 40 presentations and invited addresses at academic conferences on rumor, as well as seminars and lectures to business audiences on rumor and rumor management. 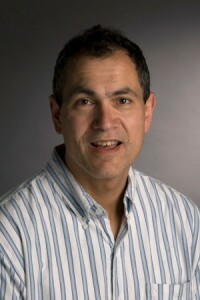 Dr. DiFonzo has studied how rumors propagate through networks in social space and across time, the mechanisms by which rumors become accurate or distorted, the effect of repeated hearing of rumors on belief, motivations involved in rumor transmission, processes involved in believing a rumor, how rumor is differentiated from other forms of communication, the effects of hearing rumors and rumor denials, psychological mechanisms by which rumors are effectively refuted, how rumor processes are affected by organizational trust, and how rumors influence social and economic behavior. He has pursued practical applications of rumor theory including how harmful rumors may be most effectively refuted. In 2005 he received a major multi-year grant from the National Science Foundation ($755,546) to investigate how rumors propagate through social networks over time. He has also received funding from the Institute for Public Relations to study corporate rumors, their effects, and how top corporate public relations officers handle them. He organized and maintains an Internet discussion group, Rumor-GossipResearch@listserver.rit.edu for scholars interested in the topics of rumor and gossip. Dr. DiFonzo has served as expert trial witness for corporations and government entities on the topics involving derogatory workplace rumors, malicious product rumors, and slanderous conspiracy rumors.